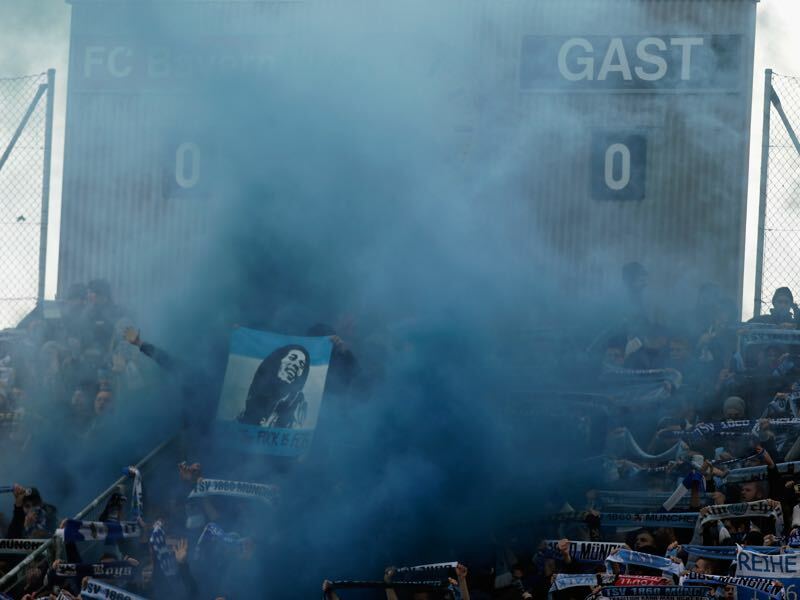 Das Stadion an der Grünwalder Straße has always been the heart and soul of 1860 München. Located in Giesing not far from the club’s training centre on the Grünwalder Straße, the Grünwalder Stadion, also known as Sechzger Stadion, has been an obsession of the fans of the club since die Löwen left the stadium in the 1995-96 season to move to the Olympastadion on a fulltime basis. Following the announcement by then 1860 München president, Karl-Heinz Wildmoser, that the club would permanently leave the Grünwalder Stadion, fans chanted “wir singen Grünwalder Stadion” (we are singing Grünwalder Stadion) to express their dismay at having to play at the Olympiastadion. The Olympiastadion was too big, and the running track meant that the field was too far away from the stands for the spectators to fully enjoy the experience. Furthermore, there was the factor that the facility was shared with the red side of the city. Bayern München had moved into the stadium after the 1972 Olympics for which the stadium was build. As a result, the stadium was more closely associated with Bayern München than with 1860 München. 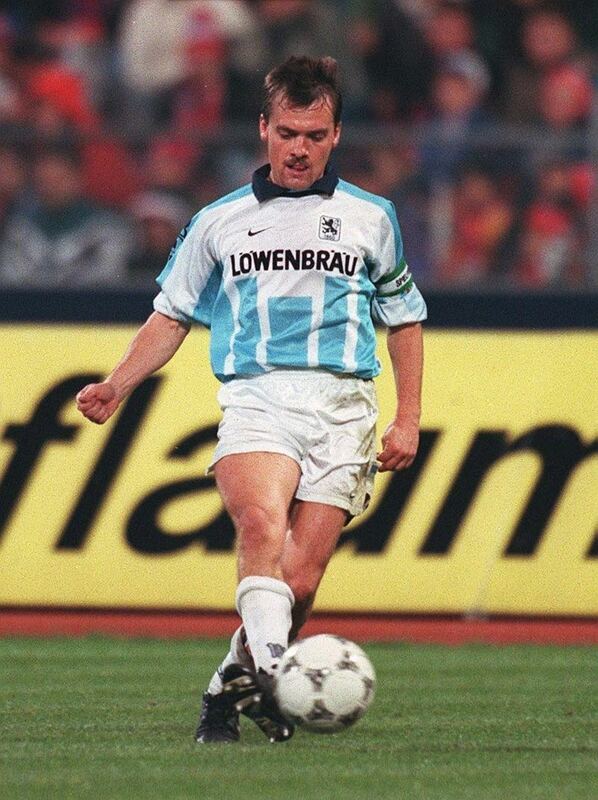 Throughout the 1990s, the stadium question, therefore, became a question of identity for the blue half of Munich. Fans of 1860 were adamant that the club needed their own home in order to foster an identity that made them stand apart from Bayern. On top of that, there was the general stadium question in Munich. The Olympiastadion was aging, and it was obvious that the facility needed to be either renovated or replaced with a new facility. Then, in July 2000, Germany was awarded the World Cup, and from then on it was imperative that something be done about the stadium. The problem with the Olympiastadion, however, was that the facility was under Denkmalschutz (historical protection) and, therefore, changes would need to be approved by the original architect Günther Behnisch, who was strictly against alterations to the design. The city, consequently, proposed that the two clubs move to a new stadium in the outskirts of Munich. Karl-Heinz Wildmoser was a strong proponent of this idea. 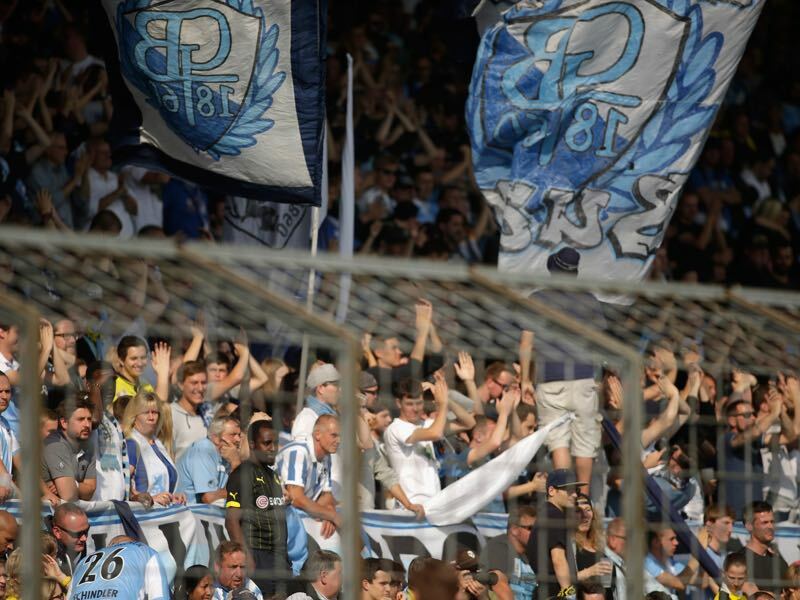 At the time, 1860 München was on the way to becoming a strong club in German football. The club had finished the 1999-00 season in fourth place, and qualified for the UEFA Champions League playoffs. Due to this success, Wildmoser, wrongly, believed that the club was on its way to becoming one of the top clubs in German football. Critics, however, stated that he was turning the club into a FC Bayern Light, and that the club was losing its original working class mentality. Building a new stadium together with FC Bayern would only further obscure the image of a club that was losing touch with its roots. There were several dissenters who, actively challenged Wildmoser’s plan of going along with Bayern, and building a new arena in the outskirts. Manfred Schwabl, who captained the club in the mid-1990s, came up with a plan that would see the Sechzger Stadion renovated. The proposal would have allowed the club to return to Giesing, and re-establish the image of an 1860 as a downtown club. The Grünwalder Stadion would have been renovated for then 100 million Deutsch Mark, and would have had a capacity of 33,000 to 36,000. But Wildmoser chose to go along with the proposal of building a new stadium out in Fröttmaning. Later, in 2004, it emerged that the Wildmoser family, more precisely Karl-Heinz Wildmoser’s, son Karl-Heinz Jr., took bribes in connection with the awarding of the arena construction contracts. Both father and son, were taken into custody, but Karl-Heinz Sr. struck a plea bargain with the authorities and, as a result, relinquished the presidency of 1860 München. Karl-Heinz Jr. in the meantime remained in custody, and was later found guilty of having taken a bribe of €2.8 million to help award the construction contruct to the Austrian company, Alpine. It was a bad year for the club; 1860 finished the 2003-04 season in 17th spot, and was relegated to Bundesliga 2. The club moved back to the Grünwalder Stadion for most of the 2004-05 season but, after a poor start, narrowly missed out on a promotion spot. The next season, the club moved to the Allianz Arena. At first there was a full-on honeymoon in the new facility with the club recording an average attendance of 41,720. But the season ended in general disappointment with 1860 finishing in 13th spot. Since then, the club has never been close to promotion. As a result, average attendance numbers have fallen to 22,754 this season. Financial problems, caused by mismanagement and the rent of the Allianz Arena brought the club was to the brink of financial collapse when investor, Hasan Ismaik, saved the club from financial collapse in 2011. At first it appeared that Hasan Ismaik’s involvement at the club could be the biggest misunderstanding in the history of German football. But, before the 2016-17 season, Ismaik finally started to make major investments in the club. Then, after a poor first half of the season, Ismaik once again opened his wallet, and brought in the experienced Vítor Pereira as manager. Ismaik also invested in new players and the infrastructure of the club. But, more importantly, he started to make promises about a new 1860 stadium. Ismaik’s first proposal to build a new facility on the location of the former airport, and now Messestadt in Riem, was met with world-wide ridicule after he announced that the stadium would include a zoo with lions that were named after former 1860 legends. Although Ismaik could certainly be faulted for his presentation, the German media’s criticism of the proposal and show of discontent toward the Jordanian investor would not likely be shown towards an investor from a different part of the world—see RB Leipzig. But what was completely forgotten in the entire process was the fact that Ismaik was making an important point. Zoo or not, 1860 needed a home that was not only the right size for the club, but would also give the club a profile that would clearly set them apart from Bayern München. Riem, at a first glance, would have made sense. There, the club could have built a stadium which was in close proximity to both the S-Bahn (suburban trains), and the U-Bahn (metro), and had enough parking. The problem, however, was size. Ismaik wanted enough land to build a stadium that could be expanded to hold 50,000+ fans. 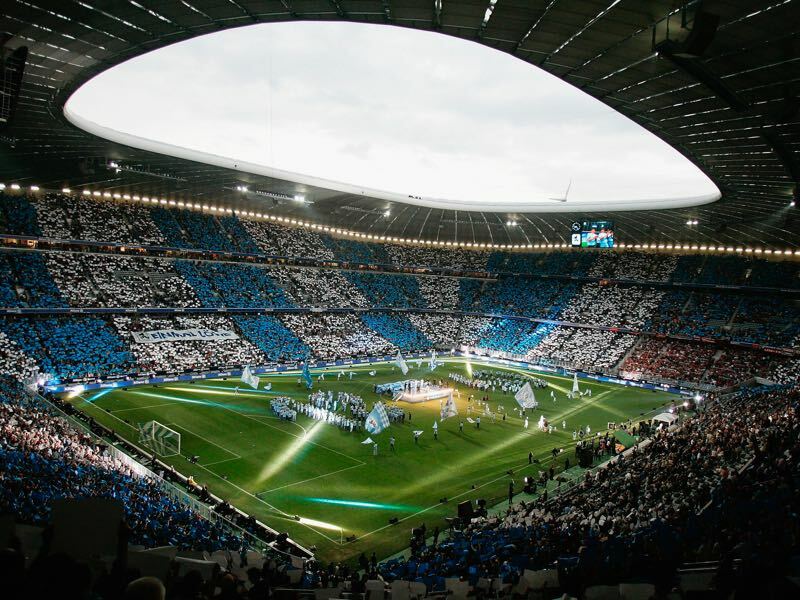 The city of Munich, however, told the investor that in that case the city could not provide 1860 with a suitable piece of land to build a stadium. At the same time, the city offered their cooperation should 1860 identify a piece of land in Munich, and put forward studies that showed that the identified property was suitable for a stadium. Ismaik added, “The location is a real mythical place. The stadium is in a brilliant location, in close proximity to our training facility, and it would be the best location for everyone: for the club, our tradition, for the fans. Up until now, however, I have always heard that it isn’t possible [to return to the stadium].” The Grünwalder Stadion, renovated with a new capacity of 30,000 to 36,000 is now the new target for Ismaik. That a renovation and the return of the club is possible, was shown back in 2009 when Manfred Schwabl presented his plans for a new Löwenarena at the Grünwalder Straße. The city and, at the time, the club, were, however, adamant that a return to the Grünwalder Straße was impossible. The club now seems to have changed its position on Giesing. All of a sudden a return to the heart and soul of the club seems possible once again. Dieter Reiter, as the representative of the city, stated right away, however, that the facility is not for sale. The city seems adamant there cannot be professional football in Giesing. There are reasons for this. Politicians in Munich believe that they have already two well-functioning stadiums in Munich: the Allianz Arena and the Olympiastadion. 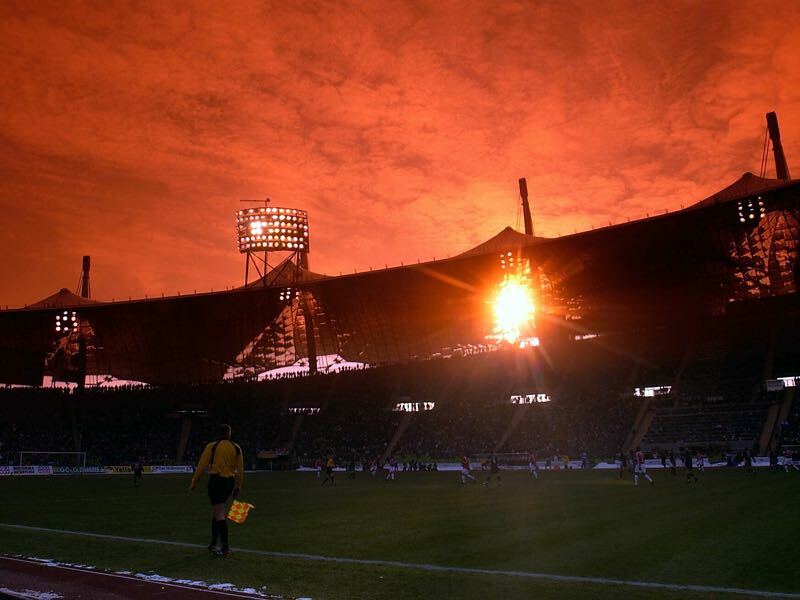 In fact, there are many who believe that the city wants to see 1860 return to the Olympiastadion. At the moment, the Olympiastadion is a white elephant of sorts. The facility is empty for most of the year—an expensive museum that is used on occasion for events and concerts. Regular Bundesliga 2 or Bundesliga football would bring much needed income to the Olympiapark GmbH, the group that runs the Olympic Park in Munich. There would be some positives about 1860 returning to the Olympiastadion. The stadium is better connected to the inner city, and would be cheaper to rent. But, in its current form, with the running track, the stadium is not suitable for modern football. In other words, the stadium would have to be renovated and the running track removed. Whether the city is willing to see this happen remains to be seen. This brings us to the question as to whether this is the end of the dream for all 1860 fans who want to see their club return to Giesing? Ismaik has shown, in the past, that he can wait out problems, and perhaps a change in government would also see a change in policy regarding the Grünwalder Straße. One thing is for certain—if 1860 München wants to build an identity that truly sets them apart from Bayern München, and makes them similar to other second city teams, like St. Pauli in Hamburg or Union in Berlin, the club will need a stadium that truly reflects their identity and that of its fans.